Home » Broadband » Holwell fibre broadband in the local press! Holwell fibre broadband in the local press! Residents of a Melton village, who campaigned for superfast broadband, say their lives have been transformed now it is available there. The county council-led Superfast Leicestershire partnership with BT has delivered download speeds of up to 80 Mbps to Holwell – 20 times faster than what was previously available. Local resident and digital champion, Simon Wilkinson-Blake, who led the campaign, said: “Using the internet was often difficult, with households having to limit themselves to one application at a time. Now we have fibre broadband, some residents who have upgraded have seen over a twenty-fold increase in speeds. Engineers from Openreach, BT’s local network business, installed a new green roadside fibre broadband cabinet on Main Street and laid more than four miles of underground fibre cable. 50 properties in Holwell can now order superfast broadband from a range of providers as a result of the installation. Local resident and home-based travel counsellor, Sally Willars, has seen her average broadband speed increase from 1Mbps to 50Mbps. 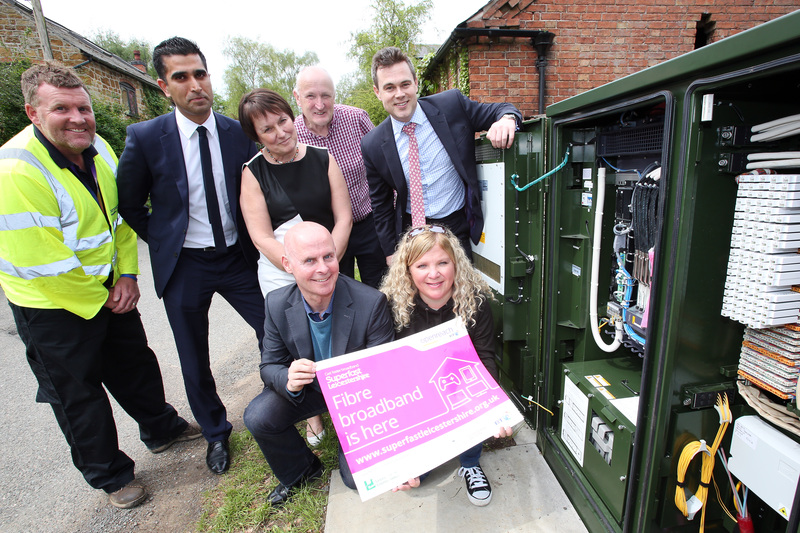 The work to make fibre broadband available in villages like Holwell is part of the Superfast Leicestershire partnership between Leicestershire County Council and BT, which has already reached 63,000 premises. The programme remains on course to make superfast broadband available to more than 72,000 premises in Leicestershire by the end of 2018. Funding for Superfast Leicestershire partnership has been provided by a wide-range of organisations including the county council, other local authorities, BT, Broadband Delivery UK (the Government’s broadband delivery arm), and Leicester and Leicestershire Enterprise Partnership as part of its Local Growth Fund. For more information about Superfast Leicestershire visit www.superfastleicestershire.org.uk or look out for #SuperfastLeics on Twitter. By simonwilkinsonblake in Broadband on May 20, 2016 .